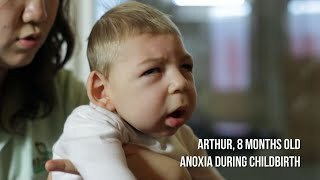 Arthur, Anóxia Durante Nascimento | Depoimento Tratamento com Células-tronco Devido a uma falta de oxigênio durante o parto, o desenvolvimento de Arthur foi prejudicado. No Brasil, a medicina convencional vem oferecendo a Arthur pouca esperança, então sua família o levou para receber o tratamento com células-tronco na Tailândia. Os efeitos já estão sendo vistos. Lucas, Distrofia Muscular de Duchenne | Depoimento Tratamento com células-tronco Depois de ouvir sobre os resultados do tratamento de dois outros pacientes do Brasil com Distrofia Muscular, Rodrigo decidiu tentar o tratamento com células-tronco. Após chegar ao hospital Better Being, seu filho Lucas já estava vendo melhorias na força e no equilíbrio. É apenas o início de uma esperançosa jornada. Alexandru, Paralizie Cerebrala | Tratamentul cu Celule Stem Recomandare Dupa ce a fost diagnosticat la nastere cu Paralizie Cerebrala si Tetrapareza Spastica, Alex nu putea sa mearga sau sa vorbeasca. Cu toate acestea, familia sa a auzit de tratamentul cu celule stem si posibilitatile oferite, si s-au decis sa efectueze tratamentul cu celule stem adult oferit de Beike Biotechnology. Astfel, Alex a reusit sa-si imbunatateasca vorbirea si sa mearga pentru prima data. Trelle, Optic Nerve Atrophy | Stem Cell Treatment Testimonial After receiving stem cell treatment in China and noticing improved light perception, Trelle decided that another round of treatment was needed to continue seeing improvements. 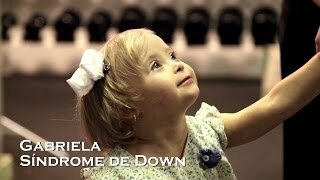 Síndrome de Down | Célula Madre Tratamiento Testimonio Tras haber sido diagnosticada con Síndrome de Down al nacer, los padres de Gabriela llegaron a la conclusión que tenían que encontrar una manera de ayudar a su hija a tener una mejor calidad de vida. Mientras recibía su segunda ronda de células madre, Gabriela experimentó mejorías en el tono muscular, su capacidad cognitiva y la habilidad motriz. Ahora tiene más energia y está continuamente luchando para obtener su independencia. Ashley, Athetoid Cerebral Palsy | Stem Cell Treatment Testimonial Even at 5 years old, Ashley only had the physical capabilities of a 6 month old. Until he was able to receive his first stem cell treatments, Ashley had no way to communicate or control his own body. The goal is self-dependence, and he is on his way. 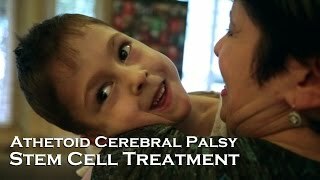 Cerebral Palsy / ONH | Stem Cell Testimonial Due to complications at birth, Kaden was born premature and since the beginning diagnosed with Cerebral Palsy, Optic Nerve Hypoplasia, and Apraxia of Speech. While receiving his 2nd stem cell treatment, Kaden and family share their incredible improvements and hopes for the future. Spinal Cord Injury | Stem Cell Treatment Testimonial Narine spent 3 months in a coma and 7 years with no use of her lower limbs due to a tragic car accident that left her with a spinal cord injury and minor traumatic brain injury. Thanks to the combination of stem cells and a revolutionary new epidural electrode stimulation device, Narine is now able to control her legs and support herself. Narine is the first woman to receive this device, the 5th ever, and the first person to undergo this unique stem cell + implant treatment. Flynn Rigby, Cerebral Palsy | Stem Cell Treatment Testimonial Flynn Rigby was unable to talk until the age of 9, until his first stem cell treatment. Flynn was born prematurely, leading to developmental delays caused by Cerebral Palsy. Nowadays, he is socially active, speaking, and has use of his fine motor skills. Primary Lateral Sclerosis | Stem Cell Treatment Testimonial Mia Ruthey was diagnosed with Primary Lateral Sclerosis (PLS) which is a motor neuron disease similar to Amyotrophic Lateral Sclerosis (ALS) / Lou Gehrig's disease. Without hope from Western medicine, Mia found Beike and stem cell treatment. Today, her strength and endurance have improved and increased her quality of life beyond expectation. Congenital Hypotonia | Stem Cell Treatment Testimonial Saif and his mother, like many other families, were left with no hope after Saif was diagnosed with Benign Congenital Hypotonia, a muscle weakness disease similar to Muscular Dystrophy. Local doctors had no help for them, so they sought something else. This is Saif's 4th stem cell treatment, noting vast improvements in strength and stamina each time. 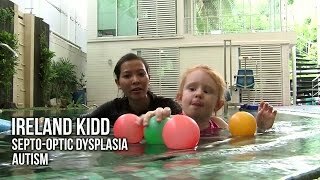 Septo-optic Dysplasia / Autism | Stem Cell Treatment Testimonial Ireland Kidd was diagnosed with Septo-optic Dysplasia and Autism with no hope for improvement from local doctors. Her mother tells of their comprehensive stem cell therapy journey with Beike stem cells and functional medicine provided at Better Being Hospital in Bangkok, Thailand. filmed during their second treatment. Adult stem cell treatments available today in China are not a cure for ONA. But with blindness, even incremental improvements in vision can have powerful impacts on an individual's quality of life. This video has English subtitles. This video, taken from full interviews featured at StemCellTreatmentNow.com, looks specifically at the improvements families found during--and after--treatment. After the treatment her mother said "I just felt like I had four boys and a handicapped child. Now I have a little girl." These interviews were shot while Macie and her family were staying at the hospital in Qingdao. Michaela's father, Cchris, sat for an interview with us to discuss their decision to come to China for treatment. During his treatment in China he began to notice significant improvements in his vision. Check out the video for his full report. His parents have brought him to China for a couple rounds of adult stem cell treatments now. His condition has changed significantly. You can find her blog and patient experience over at www.stemcellschina.com. During Adam's adult stem cell treatment in China his wife found him staring at her more and more across the dining table. He realized he was seeing her more clearly than he ever had before. If you are interested in a medical evaluation for the treatment of a spinal cord injury or any of the conditions listed at StemCellsChina.com please submit an inquiry. Go to http://vimeo.com/6793267 to see her first video. Read her full patient experience at StemCellsChina http://tinyurl.com/2fofn3w. For more videos related to spinal cord injury stem cell patients check out our Vimeo Channel at http://vimeo.com/channels/79458. Adult stem cell therapy is not a cure for Ataxia. After symptoms began to progress again he returned for a second round of transplants. This video was shot during that time. Visit us at StemCellsChina.com. If you're interested in a suitability evaluation for your condition submit an inquiry and we will work to connect you with a provider hospital. Safe adult stem cell therapies are available today in China offering real quality of life improvements to patients. If you are interested in treatment options available today please visit StemCellsChina.com and submit an inquiry. Find out more about adult stem cell therapies avialable in China today by visiting www.StemCellsChina.com. Adult stem cell therapy is available today for the treatment of many neurodegenerative and developmental disorders. Check out current news and information over at StemCellsChina.com and inquire today. Carlos has received two rounds of umbilical cord blood stem cell transplants in China over the past two years. In this interview shot at the end of Carlos' first round of transplants his father discusses the improvements in his condition they saw during the treatments. Note: Dr Klein is not endorsing nor recommending any stem cell product or treatment. He is not affiliated, sponsored nor compensated by StemCellsChina nor anyone related to it. This interview was shot as part of a documentary project. This interview was shot in Beijing as Tamara and her caretaker were leaving China. In 2008 he traveled to Qingdao China for his second cycle of adult stem cells. This interview was shot near the end of his second round of treatment. You can find Reuben's full patient experience at StemCellsChina using http://tinyurl.com/2fqkgjq. For more information about adult stem cell therapies already delivered to thousands of people visit stemcellschina.com. Shelly and his wife Marilyn were interviewed in their home in Florida in 2010. If you are interested in evaluating your condition for suitability, submit an inquiry at www.stemcellschina.com. Brandon Harmison - SCI Stem Cell Patient Brandon is a Californian in China for stem cells. After a motorcycle accident damaged his spine Brandon has struggled to improve what function he still has. Stem cells are working to pull him along. Seth's grandmother sat with us for an interview in St Joseph, Missouri. This interview was recorded in Shijiazhuang at Bethune Peace Hospital. To see more videos of patients undergoing adult stem cell treatments in China head over to www.stemcellschina.com. While not a cure, adult stem cell therapy can improve patients' overall condition and quality of life. 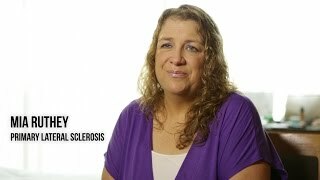 Lilli Mann - ONH Stem Cell Patient In this video Lilli's mother discusses the condition causing her daughter's blindness, treatment options available to them in the US and their decision to try umbilical cord blood stem cells. 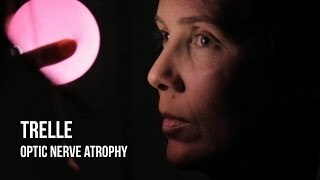 In this video she discusses her decision to try umbilical cord stem cells and the improvements she has seen in her sensation, core strength and hand movement. While we have hope that adult stem cell therapies will be available in many other countries in the near future, many conditions are currently treated through providers in China. Follow patients and read experiences at www.StemCellsChina.com. Debra Howard - Primary Progressive MS Debra came to China in 2009 to receive transplants of umbilical cord blood stem cells to combat the development of Primary Progressive Multiple Sclerosis. In this video Debra discusses her condition and her journey to China for therapy. This video contains interviews with Najib's mother, Naomi, shot over the length of his family's stay in China. She discusses his condition, treatment options available in the US and their decision to come to China. In this video he discusses the onset of his condition and his decision to try stem cell therapy today. Adult stem cell therapy for cerebral palsy does not offer a cure today. But it can improve quality of life for the patient. For more information please visit www.stemcellschina.com. Betty Helm - MS Stem Cell Patient 5 Years Later Betty Helm has received adult stem cell transplants in China twice. StemCellsChina has been following her condition for several years now. You can see other videos with Betty here at Vimeo. Ataxia is often a hereditary condition. Jeff discusses the choices he has made to leave the US to seek out medical treatments unavailable within its borders. Keiran and his mother sat down with us for interviews and let us get some video of Keiran getting some fire-cupping therapy at the hospital as well. Therapy was delivered by the medical staff at Bethune International Peace Hospital. International patient services were provided by Beike Biotech. For patients like Zac, basic motor functions and eating disorders present real-life dangers and significant challenges to his care. Adult stem cell transplants cannot cure TBI. A damaged brain will not reform itself through the treatments. But a patient's quality of life can see real improvements.